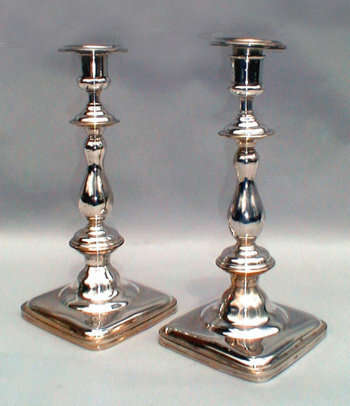 Beautiful Polish streamlined silvered Sabbath candlesticks. From square domed bases rise baluster stems knopped above and below with ovoid flanges. Marked: "Fraget W Warszawie, GALW.